I need a new camera or pair of eyes. I thought I could still see pretty well, but apparently we had too much wine at lunch. Nevertheless, today was pretty special. 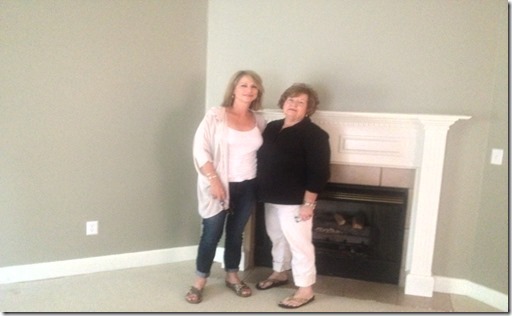 Marie Portera (from left) gave Norma Atkins and me a sneak peak at her new house today after celebrating our entry (for the third time) into age “sixty- something”.. (We try to celebrate something each month). 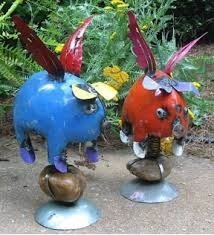 We have huge plans for the neighborhood including a pair of flying pigs for the front garden. We’ll pick those up at the Prairie Arts Festival. Marie will be so surprised. We will help her decorate in shades of aqua and purple although Marie doesn’t agree with any of this. She will be moving in in September and we are preparing a huge house warming party, and of course another sleep over. I may move into her garden shed because its nicer than my cottage. Did you drop your camera in the wine??? You forgot to mention the pink flamingos for my front yard….can’t wait!!! Thank ya’ll again for a very special birthday celebration. Makes this “aging thang” a lot easier! ?? 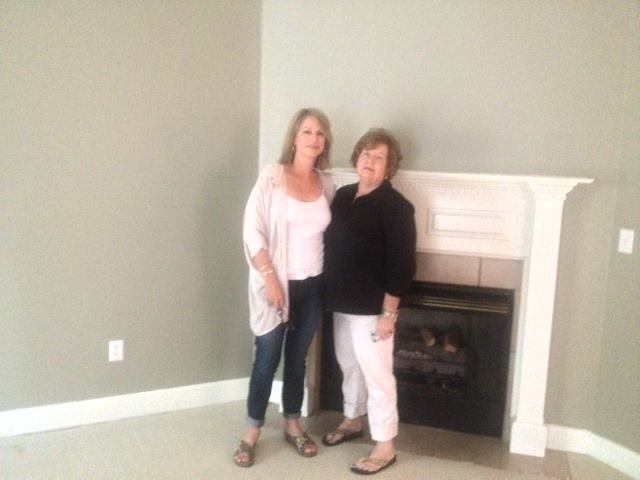 Congratulations on your new house, Marie! How exciting! Wish I could have been there to help you celebrate. Emily, the flying pigs and flamingos we’re going to be our secret. Now, Marie knows! I guess we’ll have to go with painted tires and wagon wheels now, perhaps a rooster and chicks too! I found an outhouse for sale at a jumk shop ? what do you think? you coukd tell everyone to look for in the house with the outhouse in front! Bet no one else can say that.